Using the 24 hour library is fast and easy. You will be notified by phone, email, text, or traditional mail when your hold is available for pick-up. 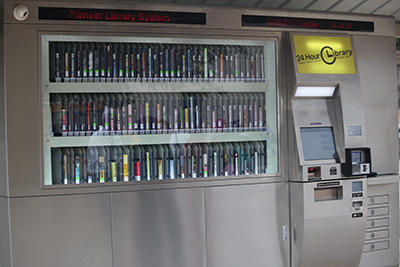 The 24-Hour East machine has several books, audio discs, and DVDs in it that may be checked out without placing a hold on the item. View the items in the window and when you locate an item you want, follow these directions.